Why our Dangerous Dog Lawyers? 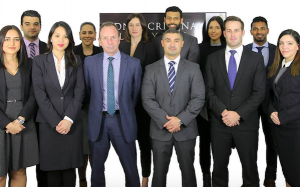 Sydney Criminal Lawyers® is the most experienced and successful law firm in ‘Dangerous Dog’ and ‘Dog Attack’ cases in NSW (see also our related site www.dangerousdoglawyers.com.au ). We service All NSW Council Areas and Courts, and our Dangerous Dog Lawyers are passionate defenders of dog owner rights and have in-depth knowledge of the rules, regulations and case-law relating to prosecutions under the Companion Animals Act. We can accurately advise you of your rights and options when faced with a prosecution under the Act. We offer ‘fixed fees’ for ‘dangerous dog’ cases, so you will know exactly how much your case will cost (see our ‘fixed fees’ page). If you have already been served with a ‘Notice of Intention to Declare Dog Dangerous’, ‘Penalty Notice’ or ‘Court Attendance Notice’, we can provide you with the strongest available representation in these types of cases. We will be your voice when you feel you don’t have one. How to defend a dangerous dog case explained. Visit this page for further information on dangerous dog cases. Definition of Dangerous Dog and what to do if you receive a Notice of Intention to Declare Dog Dangerous or Dangerous Dog Declaration. Visit this page for further information on Dangerous Dog Cases.